Welcome to Your Special Sneak Peek Adventure! We are so excited to see you here! We want to share what we have been working on for months now…our new Seat of the Soul Institute Online Engagement System and our brand new online course! We believe these tools will enrich and transform all of our lives as we explore and practice Spiritual Partnership together. With your special membership, Chapter One is available to you for FREE…watch the videos, reflect upon the questions, complete the exercises, and write in your SoulLog. Feeling adventuresome? Take advantage of our Pre-Launch Specials today! We don’t want you to miss out on these limited-time offers. After completing Chapter One, make sure to check out the SoulLearning Blog and WisdomLibrary for additional exercises and tools for spiritual growth. Journey across the landscape of our new site! As a member, you can comment in our SoulBlog and connect with others. 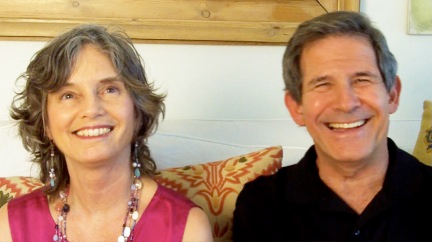 View the video clips in Seat of the Soul TV to find out what others are doing in their lives to create authentic power and spiritual partnership. Explore interviews with Gary on his book tour and with Oprah, and Seat of the Soul virtual and real events, books, and more! EXPERIENCE SoulLearning, EXPERIMENT with practical tools, and EVOLVE with a community of online Spiritual Partners, all committed to spiritual growth. When you have traversed as far as you want to go, we invite you to provide feedback in our online Survey, which will be emailed to you. We would love to hear about your experiences…so that we can continue to co-create the best online tools to support you.